My blogging friend Lou shared this with me and I am passing it along to you. At first you might think “what does this have to do with narcissism?” It has everything to do with narcissism. 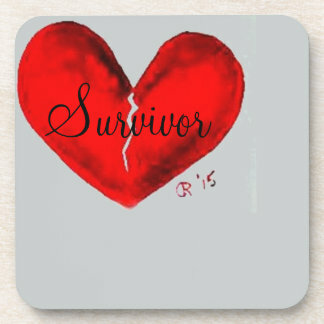 We are consumed with our broken hearts, how we will heal and go on and because of that it is very hard to look beyond our own pain, many of us; me included, are struggling to make ends meet because the narcissist destroyed us financially. He stripped us of everything we hold dear and everything we needed to survive in the world because he is mean like that. He cares nothing for anyone, his only concern is his own comforts and meeting his own needs and anyone who gets in his way can be damned. He doesn’t care about repercussions because he will just tell more lies to cover the lies that were exposed, he will just plead innocence even when all the evidence points to his guilt and if history can predict the future he will continue to leave a path of destruction behind him until the day he dies. Like the saying goes, “there is a sucker born every minute”, and the narcissist goes through life counting on it. His whole existence depends on it. Well, just like when you started looking for answers as to what was happening to you; and you came here or some other site and you started reading the posts and people’s comment and all of a sudden things started making sense; because a person knows the truth when they read it. Up until you found out about narcissism and psychopaths you were confused, and now you know and will do everything you can to avoid every getting involved with another one. But they are not limited to the men (or women) you date, they are lawyers, doctors, police, judges, politicians, they make the laws and choose how you will live your life. To believe they are not in positions of power and we can believe our governments have our best interests at heart is especially naive of anyone who has ever been involved with a narcissist. That is why this video is worth the hour it takes to watch it. I am very careful about what I post on here because I don’t ever want to push my religious beliefs, political views, or morals on someone else, I am only here to help people understand narcissism and this is not a belief of mine; as you will see in the video, it is fact. I know with JC, what I thought he was up to was no where near as bad as what he was actually doing, there was no way I could have imagined the depravity he was capable of, when I did discover it, it all but destroyed me, my mind still battles with the knowledge of some of the things he has done and gotten away with. I have no doubt that there are worse out there, and with greater power. Love this post Carrie! It makes perfect sense that disordered individuals – who typically have an over-inflated view of their own importance, the charm to convince others of the same, and the ruthlessness to achieve power – should get themselves into leadership positions. Very dangerous indeed! And your line “Hi, my name is John Doe…” made me laugh SO much. If only there was a truth serum narcissists could be given to ensure we know exactly what we’re dealing with. Instead, we have to look for the clues. thanks for your comment SSS, yeah, people always say they would have known, they wouldn’t have gotten sucked in like we did, or that women get involved with these guys because they are weak or co-dependent. What they fail to realize is he was not like that when we met them, they didn’t show their true colors. Had they, we all would have run to the highest hill. That’s why when people say “it would never happen to me” I think, you could be eating those words one day. It can happen to any body. I would love it if they came with subtitles, what they are saying translated from narcspeak to the truth.